Today is your very last chance to grab the Ultimate Homemaking Bundle — because the flash sale ends at midnight and this bundle of resource is never going to be available again. The 2018 Ultimate Homemaking Bundle is 129 resources from authors, bloggers, and speakers — $3600 worth of resources total! And you get all of it for just $29.97! But hurry! The deal ends TONIGHT at midnight! After tonight, this goldmine of great resources (129 ebooks + ecourses + membership sites + printables + bonuses) will not be available again. So if you wake up in the morning and want to buy it, you won’t be able to because the sale will be over and it won’t be available to purchase anywhere ever again. Struggle to get dinner on the table every night? When you purchase the Ultimate Homemaking Bundle, you’ll get three months of FREE access to the The Freezer to Slow Cooker Meal Plan Subscription — a membership site that helps you get dinner on the table every night by giving you a new menu each week in your inbox. AND, you’ll get access to The Freezer Meal Club Guide and Course! This club and course gives you a guidebook, video series, worksheets and more to show you how to cut your cooking time in half and save money with your own freezer meal club! Both of these together would cost $79, but you get them, plus everything else in the Ultimate Homemaking Bundle for just $29.97! If you are looking for a new planner or just some great printables to keep you motivated, the Ultimate Homemaking Bundle has you covered! When you purchase it, you’ll get access to dozens of amazing printables to help you organize and simplify your life. Plus, you’ll get the digital files for The Ultimate Busy Mom Planner, The Purposeful Life Planner, and a printable Travel Planner. These three planners alone are worth $68 if you were to purchase them individually, but you can get all three + 126 other amazing resources in the Ultimate Homemaking Bundle for just $29.97! These resources individually would cost over $220! But you get ALL of them for just $29.97 when you purchase the Ultimate Homemaking Bundle! 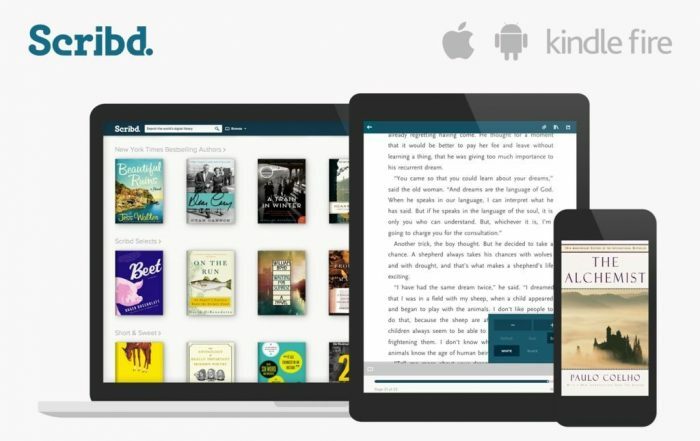 Scribd gives you unlimited access to a HUGE collection of ebooks, audiobooks, and magazines — including award-winning books and best-selling titles from some of the largest publishers. 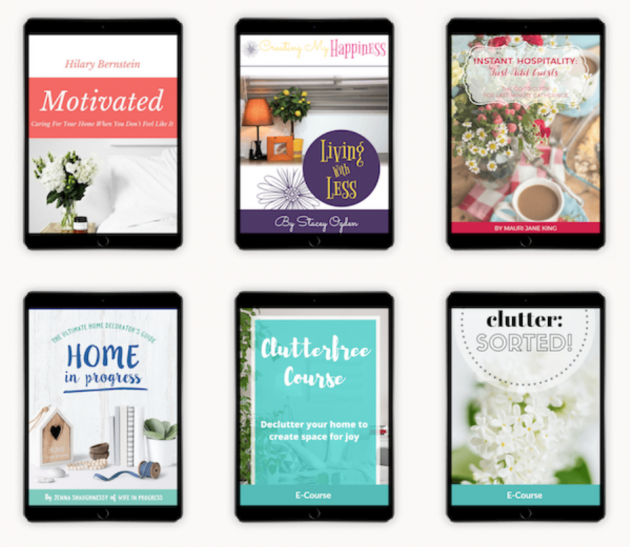 These resources alone are worth $210+ if you were to purchase them individually, but you get them all plus so much more for just $29.97 as part of the Ultimate Homemaking Bundle! 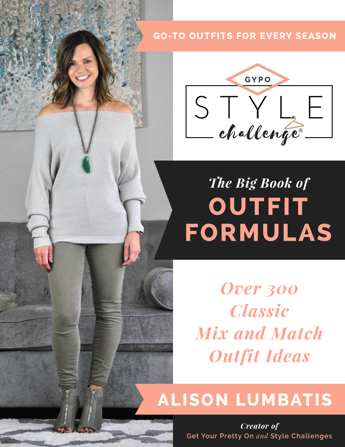 Want to get your hands on a very comprehensive resource to help you put together amazing outfits with a minimal wardrobe, check out The Big Book of Outfit Formulas written by Alison Lumbatis from Get Your Pretty On. 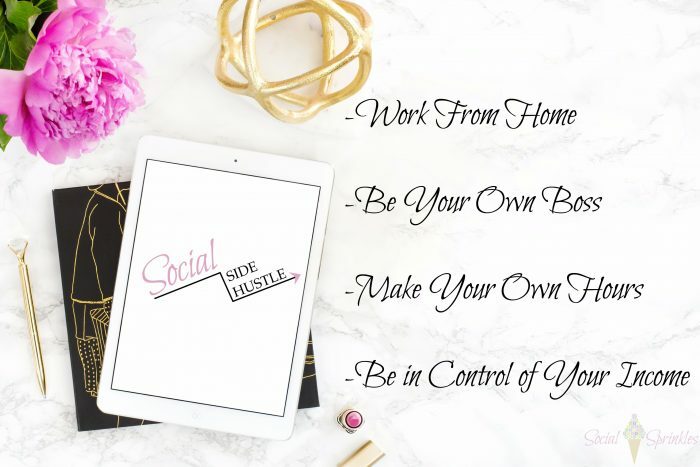 One of my favorite resources in the Ultimate Homemaking Bundle is called Social Side Hustle. I spent hours going through this course this weekend to make sure that it lived up to my expectations of it — and it totally did, and then some! Social Side Hustle is worth much more than the price of the bundle itself and if this is the only course you go through, this could make back what you invested in the bundle a hundred times or more! This course walks you through everything you need to know to start your own Social Media Manager business. What kinds of services you can offer as a Social Media Manager — and what a client is typically going to expect you to do. Social Side Hustle is usually $197, but you can get it + 128 other resources in The Ultimate Homemaking Bundle for just $29.97! If you’ve been thinking of finding a way to make money from home or starting your own business, the Ultimate Homemaking Bundle has some really incredible and valuable resources to help you get started in addition to Social Side Hustle. There’s an ebook on becoming a virtual assistant, there’s an ebook on how to start a blog, there’s an ebook on how to start a freelance writing business, there’s an online course on how to become a cake business owner, there’s a course on how to budget for your business, and more! All totaled, these 10 different work-at-home resources are worth over $1000, but you get them all plus so much more for just $29.97 as part of the Ultimate Homemaking Bundle! If you are still sitting on the fence right now wondering whether or not you should take the plunge and buy the Ultimate Homemaking Bundle, here’s why you should: it’s a risk-free purchase. That’s right! There’s a 100% money-back guarantee on it for up to 30 days! So if you purchase it and then decide it’s not as helpful as you’d hoped or that it’s not worth the price you paid, you can get a full refund — no questions asked. Through tonight at midnight only, you can get all of these items listed + much more for just $29.97 total! This huge library of resources has something for pretty much everyone! It covers home management, decluttering, fashion, mothering, DIY-ing, your marriage, organizing, budgeting, making money from home, plus much more! Remember, this offer ends tonight at midnight. Tonight is your last chance to take advantage of this incredible sale! P.S. Remember, this offer ends tonight (November 6, 2018) at midnight! Get it while you can!